"In a democracy, everybody gets the government they deserve." 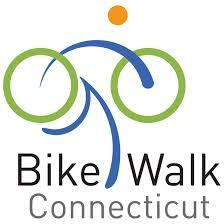 DISCLAIMER: Bike Walk Connecticut never supports or opposes candidates or political parties. See who pledged and why biking and walking matters. ​Vote and make a difference. Yes! I want to make a difference. I'm going to vote on Nov. 4. In a few words, tell us why you care about biking and walking. Are you registered to vote? Click here to see if you are. Not registered? OCT 21, 2014 is the deadline for ONLINE VOTER REGISTRATION or by mail. CT residents 18 and over: click here for online voter registration. OCT 28, 2014 is the deadline for in-person registration at your town or city offices. Click here for Election Day Registration info. Get personalized voting information with this tool from the League of Women Voters. Additional info here. Contact your candidates for state office. Need an absentee ballot? Get one here. Get more elections and voter info here from the CT Secretary of the State.